Dr. Mayme Clayton was born in Arkansas and transplanted to California, where she served as law librarian at University of California at Los Angeles (UCLA), beginning in 1957. In 1969 she helped put together the university’s African American Studies Center Library. But her most astounding achievement was an entirely independent one. For forty years, she collected the artifacts of African American history. She bought books and photographs, dance programs and recordings. She found these treasures in used book stores, flea markets, yard sales, and even the dump. She was a woman who knew that an object’s value–its real value–is not determined by society at large, but by our continuing need for truth. She saved what others discarded as worthless, and today we all owe her a great debt. In the past, then, the job of collecting and preserving the visual history of the black west fell into the hands of individuals of vision and commitment. Dr. Clayton was not the sole warrior in the battle to do the job of gathering and preserving. Dr. Currie Ballard, of Langston University, William Loren Katz, a history writer, and Paul Stewart, a former barber, have each saved thousands of photographs from loss and destruction. Dr. Ballard now regularly works with the Oklahoma Historical Society to acquire and disseminate images of African American life in Oklahoma, but for decades his efforts were entirely private. He has put together a remarkable collection of more than 6,000 black history artifacts and generously shares them with other scholars. 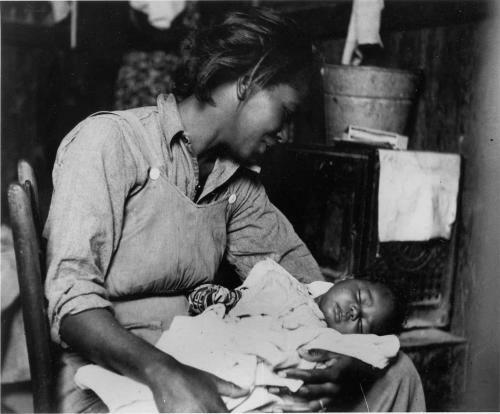 The authors of this article were fortunate enough to see many his photographs when we were working on The Face of Our Past: Images of Black Women in America (Indiana University Press, 1998). Recently, Dr. Ballard acquired twenty-nine cans of motion picture films documenting successful black communities in the 1920s. The films were commissioned by the National Baptist Convention and shot by the Rev. S.S. Jones. They reveal, among other things, that even after the Tulsa Riots of 1919, the black community in that city was thriving. William Loren Katz began collecting black photographs for his books, starting with The Black West, which was suggested to him by his friend Langston Hughes and which was published in 1970. He has continued to write about African Americans and to collect photographs documenting African American history ever since. He, too, shared his photographs with us for The Face of Our Past. Recently, an updated edition of The Black West was published by Harlem Moon. Paul Stewart, a transplant from Iowa, was a barber in Denver Colorado and began collecting artifacts on the black west in the 1960s. In 1971 he founded the Black American West Museum with his collection as its nucleus. By the 1990s, the museum boasted a collection of over 35,000 items and a permanent home in Denver’s Five Points district. Dr. Clayton’s collection–tens of thousands of items–has been inherited by her son and a museum is being built around it in Los Angeles–the Mayme A. Clayton Library and Museum. And Avery Clayton is being given help in archiving and digitizing the collection by the Huntington Library, the Skirball Cultural Center, UCLA, and the University of Southern California (USC). Other institutions, such as the Nebraska State Historical Society, have wonderful collections that have not been digitized, and they are being cared for by passionate and interested staffs. The Houston Metropolitan Research Center of the Houston Public Library has a number of African American family collections. The Center for American History at the University of Texas-Austin has saved the work of R.C. Hickman, a photographer who recorded the life of black Dallas in the 1950s and 1960s. The Harry Ransom Research Center has done the same with the work of photographer John Palmer of Galveston. Black historical societies and museums are being started up in towns from Boise to Breckenridge. Historian George T. Harper created the Blacks in Alaska History Project, now housed at the University of Alaska, Anchorage. The University of Nevada, Reno Libraries owns the archives of the Nevada Black History Project. Perhaps even more importantly, institutions such as the Los Angeles Public Library are gathering photographs from the community for projects such as Shades of L.A. (now online). Many others institutions have little knowledge of African American history and less sense of where to look for the precious material that it is their responsibility to conserve. As a result, there are still too many important images being scattered and lost to history. That is why it is so important for individuals and families to recognize the significance of what they have stashed in dresser drawers and old suitcases. And it is important for all of us–historians, researchers, concerned community members -to help get family artifacts into museums and archives where they will be preserved. There is a crying need for “field archivists,” people who can go out into the community to help families preserve and pass on their precious visual heritage. A final point. Although collectors have done such a service in preserving this history, the “collectibility” of African American photographs is beginning to be a problem. Collectors of all kinds will pay for rarity, and so even people who have no particular interest in black history are eager to buy. Images of the black west have an even greater rarity. One fine image may sell for several hundred dollars. As a result, dealers split up family collections that they’ve purchased at estate sales or otherwise acquired. They sell the individual photographs at Black Americana shows, in antique stores, or on eBay, separating them forever from the documents that could provide them with historical context and make them a crucial part of our master imagery. We need to find a way to get these family collections, intact, into archives across the country.